This is a 4 color applique in size 5X7 and a 5 color applique in the two largest sizes. No alphabet is included with this design. Easter Carrot Wagon with Grass Applique - 5 Sizes! 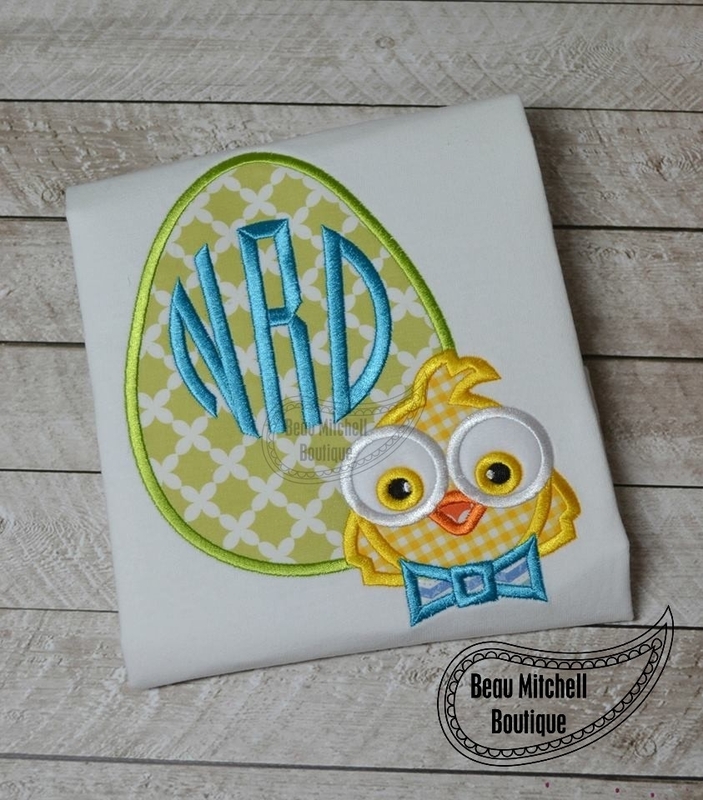 Easter Chick Applique - 4 Sizes! Finish Size 4.89" x 5.91"
Finish Size 6.26" x 7.59"
Finish Size 6.78" x 8.25"